Bahauddin Zakariya University Multan (BZU) has started admission 2019 in undergraduate and postgraduate degree programs including BBA, BCS, MCS, MBA, BSc, BA, MA, Msc, BA Fine Arts & Designing, Architecture, Agriculture, DVM, Pharm-D, Commerce, Accounting & Finance, LL.B (3 Year), Philosophy and many other disciplines. BZU Multan is a progressive university located in Multan in the Punjab province, Pakistan. 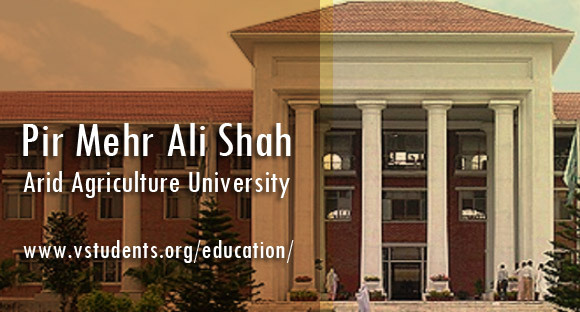 It is one of the main universities of South Punjab. You can also check BZU Lahore admission guide and details. BZU admissions 2019 are opened and Bahauddin Zakariya University Multan is offering admissions in different disciplines mentioned below. Here you will able to find complete information about BZU Multan fee structure 2019, admission form last date, BZU admission advertisement 2019, merit list, scholarship, admission guide 2019 procedure and more. Bahauddin Zakariya University has started admission 2019 in undergraduate and postgraduate degree programs including BA, B.Sc., BBA(Hons. ), BS(CS), BS(IT), BS 4-year, BS (Commerce), BS (Accounting & Finance), MA, M.Sc., MCS, MIT, MBA, MBA(Banking), M.Com., M.Sc. (Accounting & Finance), LL.B (3 Year). Result awaiting students can also apply for admission 2019 as per criteria of the BZU in a required program before the admission last date given below. Schedule of Admission/Registration for Private candidates in B.A/BSc Annual examination 2019 is given below. Find below the details of registration for private candidates in BA/Bsc annual exams 2019. Bahaudddin Zakariya University (BZU) Multan is offering different study programs and has a different fee structure for different programs. BZU Multan Fee structure 2019 regarding admission in all types of programs can be checked from university prospectus which is obtained from the university admission office for Rs. 600 only. Note: After admission, fee/dues once paid will not be refunded. BZU reserves the right to change the fee structure of any program offered at any time. Please follow the link for complete BZU fee structure 2019 and details for every discipline online Here. Admission can be obtained in BZU Multan by filling the admission form which is acquired from Bahauddin Zakariya University (BZU) Multan admission office. Interested students can also download admission form 2019 online from Here. Note: The candidate is advised to select the subject of his/her choice for admission very carefully. If a candidate has paid the fee/dues in any University Teaching Department/Constituent College, then the fee/dues once paid will neither be refunded nor transferred in case of Inter-Departmental/College transferred. Fill the admission form 2019 very carefully. Any incorrect statement made in this Form may lead to disciplinary action or cancellation of admission at any time. Once you are offered admission 2019 in required discipline then obtain Challan form from BZU University admission office and deposit the admission fee 2019 in the corresponding bank. The BZU Multan has started of admissions 2019 in different undergraduate and postgraduate degree programs including BBA (Hons.) (Morning/Evening), BS (CS), BS (IT), BS (TS), Pharm-D, B.Sc. (Hons.) Agriculture, DVM (Doctor of Veterinary Medicine), B.Sc. Agricultural Engineering, B.Sc. (Civil Engineering), B.Sc. (Electrical Engineering), B.Sc. (Building and Architectural Engineering), BS Botany, BS Microbiology, BS Chemistry, Mathematics, Physics, Biotechnology, Statistics, BS Zoology, BS Environmental Science, BS English, BS Economics, BS Psychology, BS Philosophy, BS Sociology, Education, B.Ed(Hons.) Elementary, BS Communication Studies, BS History, International Relations, BS Urdu, Arabic, Pakistan Studies, Commerce. The BZU Multan is offering the admission in MS/MPhil program in different subjects including Department of Management Sciences, Department of Computer Sciences, Department of Urdu, Department of English, Department of Physical Education, Department of chemistry, Department of Physics, Department of Mathematics, Department of Commerce, Department of Islamic Studies and Department of Pak Studies offers. BZU Multan has started Ph.D programs in Subjects of Management Sciences, English, Urdu and Mathematics, Education, Economics, Social Sciences, Political Sciences, Philosophy, Sports Sciences, Arabic, Islamic Studies, Pak Studies, Chemical Sciences, Computer Science and Information Technology, Physics, Statistics, Biology, and other subjects. MS/ M.Phil or equivalent degree with 1st division and having qualified GAT or GRE test. Find Bahauddin Zakariya University Examination Results 2019 for BA BSc, MA MSc postgraduate and undergraduate degree programs. Students can get their result online from Here. BZU is Public Sector University recognized by HEC. BZU Scholarships 2019 are available to the students on a competitive basis. BZU also grants fee concession and interest-free loans to the deserving students following the prescribed procedure. BZU awards scholarships to the students on the basis of academic merit. BZU Multan was renamed in honor of Sufi of Suhrawardiyya order Hazrat Baha-ud-din Zakariya (RA). Bahauddin Zakariya University Multan is providing job opportunities to talented male and female teaching and non-teaching staff have excellent communication skills. BZU Multan has appointed Lectures and assistant professors having M.Phil and Ph.D. qualification in relevant subjects. The detail about BZU jobs & vacancies which are recently advertised can be seen by clicking Here. Address: Bahauddin Zakariya University, Bosan Road Multan. Dear respected i want to take admission in Engineering on self. Please inform me fee structure and admission date. I want to apply online in Bs biotechnology.